1. Power off the wireless internet source and then Power on it again. If this resolves your issue, then, use your network, otherwise, go through below mentioned steps. 2. See if wireless internet device and other networking devices are plugged into a properly working power source. 3.See if all the physical connections are intact enough to work properly. 4. Check if wireless internet connection source is not in standby mode, if it is, press the standby button. 5.The next troubleshoot option that you can follow is to reboot your devices: Power off device, computer and all other devices that are connected to the network. Then, power on the devices again. For device that provides wireless internet connection, once you power it on, wait for two minutes, until it completely restarts. 6.Contact your internet service provide if the issue persists. 7.Verify wireless adapter.You need to ensure that the client’s Wi-Fi adapter is enabled and ready to work. 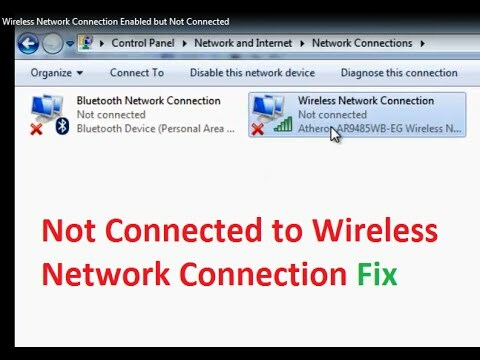 In Windows client, select wireless network adapter from Network Connections present in Control Panel and check if its status is enabled.If not then, right-click to enable the connection. If this does not work, then, look out for a function key pr physical button or slider switch which could enable the network connection of your wireless device. Go on and try the above mentioned steps to get your router into working mode from router not working.